The Superintendent of Christ Apostolic Church, Life and Power Zone, Odo-nla, Ikorodu Lagos, Pastor Mich 'Tunji Oladapo has said that there are often times when the church of Christ goes to bed, he however added that a sleeping Pastor can't awake a sleeping church. Pastor Oladapo noted this yesterday Tuesday 29th of May,2018 while delivering his Welcome Charge entitled "Reviving the 21st Century Church Workers for Greater Exploits" at the 3rd edition of the annual Workers' Refresher Course organized by CAC Life and Power Zone. According to him, when the church goes to bed, her duties and responsibilities are ignored, dropped and forgotten, adding that "at such times, her visions are blurred because of bad sight, her mission is confused and her fields taken over by the enemy (Satan). The world of darkness becomes happy and rejoice and even prays that the situation continues like that. Satan and his demons are happy when the church goes to sleep." He however thanked God that the church has always awoken from sleep like a giant taking over once again like a mighty army, saying that nothing wakes the church from sleep but revival. whenever it is noticed that there is a deviation from the standard and whenever it is felt there is need to improve on the present standard. 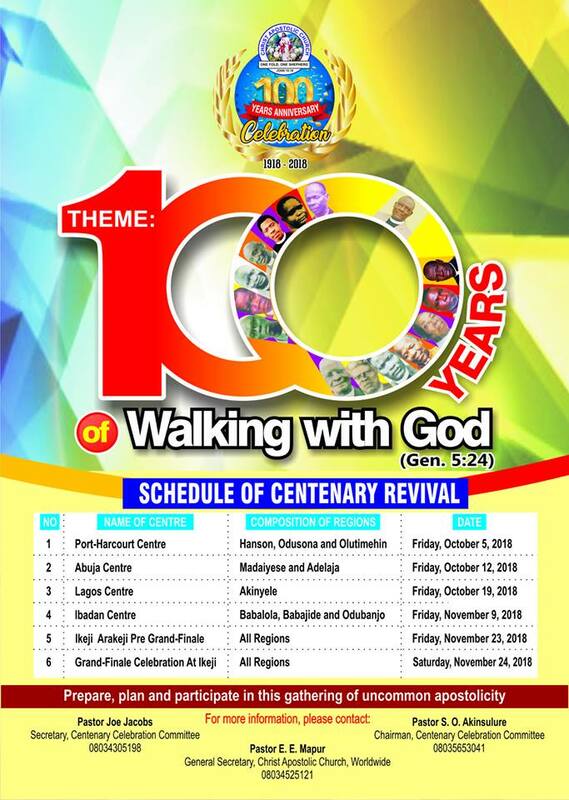 "In this end time, giving the present condition of the church, the nature of revival the church needs are teaching revival, preaching revival, Holy Ghost revival, revival of faithfulness and honesty, revival of holiness and sacrificial giving, revival of evangelism and soul-winning, revival of prayer and fasting, revival of genuine and sincere repentance, revival of unity, revival of commitment and loyalty to the vision of the church and revival of obedience and fear of God," Pastor Oladapo noted. According to him, only awakened church workers can awake the church and the world. 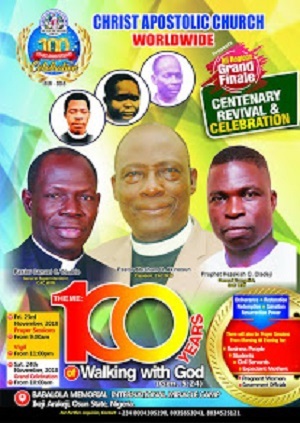 He stated that Apostle Joseph Ayo Babalola awoke and was used of God to bring about the revival of 1930 that emptied all hospitals and caused people to run for divine healing.